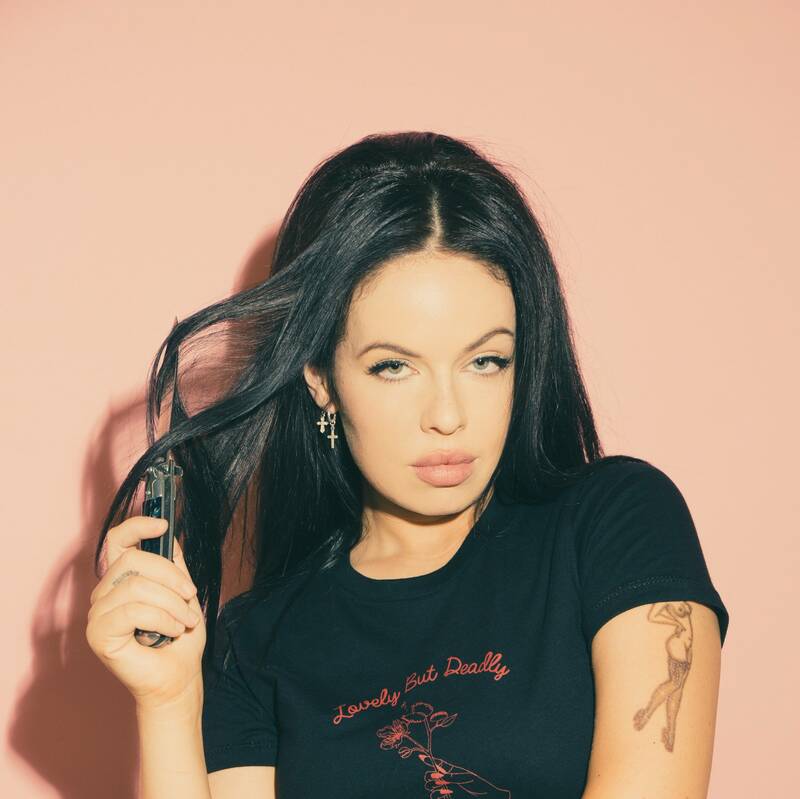 Kelsy Karter gets Harry Styles tattoo. The US singer received a mixed reaction to her new cheek tattoo.. Grabbing the attention of A-list celebrities is never an easy job, however, Kelsy Karter may have cracked the case. Karter is a Pop Singer born in the United States, currently uploading her songs to a VEVO Youtube channel with over 4000 subscribers. If you've never heard of Karter before now, you've probably been drawn in solely from this publicity stunt. What exactly did she do? Allegedly tattooed Harry Styles' face on her right cheek in celebration of the former One Direction star's birthday, as well as an attempt to grab his attention for a potential future collaboration. The unveiling of the new piece of artwork took place on Instagram where Karter captioned her post "mama, look what i made me do." As well as the tattoo unveil, a picture showed the singer standing next to the popular tattoo artist, Roman Lacoste, who has often been known to work with celebrities looking to get their own tattoos. It's still unknown whether the tattoo of Harry Styles' face is fake, however, it's clear the publicity stunt worked as the Instagram showcase post is the most-liked of Karter's to-date, currently sitting at 51000 likes. Whilst the original post was made public on Sunday, Karter released a new music video Yesterday titled 'Harry', clearly showing the tattoo stunt was conveniently planned to coincide with the new song release. Reactions to the new song have been mixed with some YouTube users saying things that range from "this song is actually really good but its just a bit creepy" and "well at least she got the attention that she craved so badly lol﻿"
You can view Karter's Instagram post here as well as her new song on YouTube here. What do you think? Is the tattoo fake? Have you liSTENED TO HER NEW SONG 'HARRY'?